Happy New Year! We hope that your Advent and Christmas celebrations were rich and rewarding. This edition of the Pastor’s Life is longer than usual, but an important read. The article below is by the Rev. Dr. Dave Davis, pastor of the Nassau Presbyterian Church in Princeton, New Jersey. It originally appeared in the Christian Century, and is shared with you here by permission. Does understanding a congregation’s finances include knowing how much each congregant gives? Ask 10 experienced pastors this question and they’ll be split down the middle. One of my colleagues felt strongly that he needed to know; he compared not knowing what people gave to a doctor not knowing a patient’s blood pressure. “It’s a matter of spiritual health,” he said. But others fear that the integrity of pastoral care will be jeopardized by such knowledge. 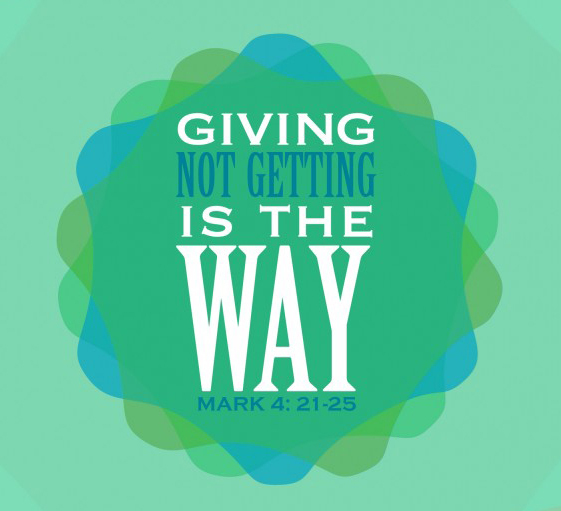 Pastors may end up favoring big givers or dismissing the lesser givers. These pastors point to Jesus’ teaching about the right hand and left hand not knowing about the other when it comes to almsgiving (Matt. 6:3). I believe that my leadership has been more effective when I know who’s giving what to church. The information helps me be sensitive to the situations that influence a member’s giving. In one case, I knew that tuition payments were burdening several families, and I was able to empathize and acknowledge this when talking about stewardship. In other cases, a significant drop in pledges indicated the loss of a job or a failed marriage. I believe that I ministered more sensitively because I was aware of these financial changes in the givers’ lives. Sometimes knowing what someone is giving can alert us to a challenging moment in congregational finances. When I saw that our congregation’s largest giver was almost 100 years old, I alerted the finance committee. We developed a strategy and avoided the hand-wringing anxiety that this significant drop in income would have precipitated. And when a member gave a significant gift over and above what was pledged in a difficult year, I was able to personally thank him. Silence was not an option. To not offer thanks may put the relationship at risk or cause a giver to hesitate the next time. One pastor who knows what his members pledge intentionally fosters relationships throughout the year with the congregation’s top 25 givers. He speaks about the privilege of being able to discuss the church’s vision, mission, and strategies with those most interested. In contrast, another pastor who does not know what people give lives with a general anxiety about budgeting and finance, an anxiety that is easily heightened when someone leaves the church. A pastor must speak up in discussions of financial matters even though he meets with resistance. He may receive a condescending re­sponse from the treasurer, or a reluctant response from a committee member who’s convinced the pastor just doesn’t understand the numbers. Pastors can respond to these situations by learning about a congregation and its finances. Some do this by earning an MBA. Others find a colleague, family member, or trusted and knowledgeable person in the congregation who can help them learn to read financial reports. They learn to ask questions – preferably before and after the meeting rather than during it, and to know the content of the report better than anyone around the table. In addition, pastors can study financial history in annual reports and study giving patterns. After I heard the complaint that “there are too many people not pledging,” I looked into the matter and learned that the pledge percentage as related to worship attendance was reasonable and that the real challenge was that 80 percent of the pledges hadn’t increased in five years. Then I could help shape the conversation. In our congregation we finished several fiscal years with a surplus, and the finance chair would regularly refer to this surplus as “the rainy day fund.” Every time she said this I responded good-naturedly with, “It’s not the rainy day fund, it’s the accumulated surplus.” I knew that a rainy day fund is usually reserved for broken boilers or leaking roofs, while “accumulated surplus” suggests funds available for new ministry, outreach, or mission initiatives. The language we use to talk about money communicates theological values. A strong relationship with the church treasurer, business administrator, or finance chair is tremendously important. And it’s important for the pastor to be honest about the role he or she will play in the financial picture. It could be a vision of the glass half full compared to the treasurer’s half empty approach. It may be the voice of assurance and confidence to the finance chair’s chronic year-end anxiety. Or it may be an attitude of celebration and gratitude. Want to learn more about stewardship best practices? Make plans now to attend the Stewardship Kaleidoscope conference. Kaleidoscope is the largest annual gathering in the PC(USA) focused on all areas of church finance and giving. It’s the perfect place for pastors and lay leaders to learn from experts in the field as well as colleagues facing similar challenges. The early-bird registration deadline is Feb. 1. Learn more and register here.